Sound bars are getting so good and affordable, there’s really no reason not to get one for all of your TVs, not just your main home theater. 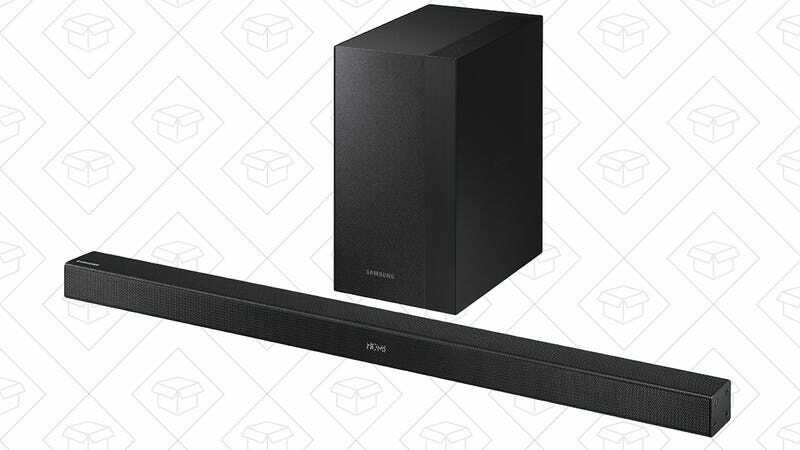 This 36" Samsung sound bar packs in 300W of total audio output, Bluetooth for connecting your phone, and even a wireless subwoofer for extra bass. If you’re still listening to your TV through its built-in speakers, needless to say, this would be a massive upgrade. This is a refurb, but it’s tough to argue with $85 shipped.